Add this pretty pendant to your style for an instant update. 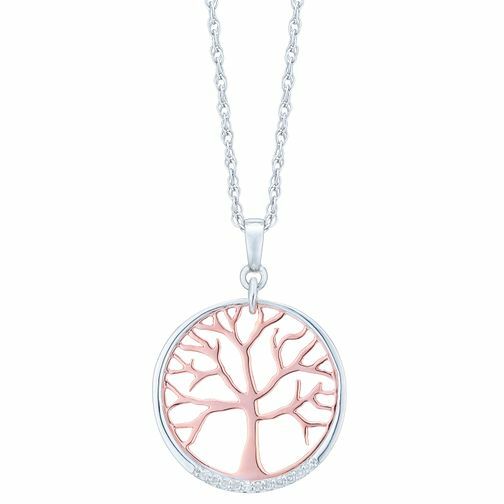 Crafted from sleek sterling silver & 9ct rose gold, this circle style pendant features an intricately detailed tree of life design at its centre for a look that brings you closer to nature. Silver, Rose Gold & Diamond Tree Of Life Design Pendant is rated 4.0 out of 5 by 1.